Roadrunner Records UK // Milk Teeth’s Roadrunner Records debut is OUT NOW! Milk Teeth’s Roadrunner Records debut is OUT NOW! Milk Teeth’s debut Roadrunner Records release ‘Be Nice’ is out now! The EP features the summer punk rock ripper ‘Owning Your Okayness’ and ‘Prism’. Grab your copy on limited edition 12″ yellow vinyl or from iTunes. 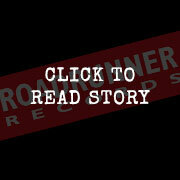 There is also an exclusive Roadrunner Records x Milk Teeth t-shirt. The band are currently on the road with support from Employed To Serve and Wallflower. Shows are selling out quick so make sure you get a ticket! Milk Teeth’s brand new EP ‘Go Away’ is out now!